PeopleGoal | How do I set OKRs? 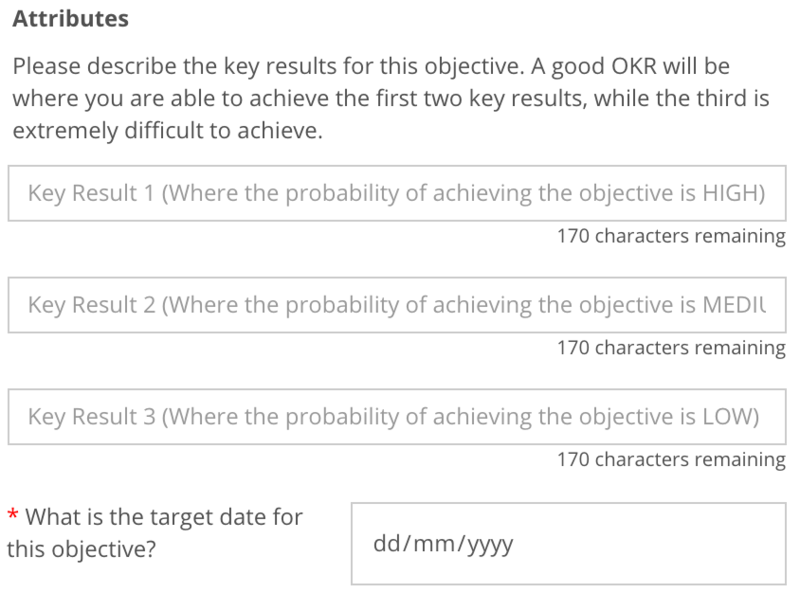 OKRs will ask employees to set an Objective and describe it, then set three Key Results. OKRs also include a target date.